The Master Trials DLC Pack contains mostly quality of life changes and some added difficulty options. The Trial of the Sword adds a three stage gauntlet where each stage has 15 levels. Players must complete all 15 levels without dying to move on to the next stage. The reward for completing this lengthy trial is the Master Sword can now be used without its ‘recharge time’. While it’s cool the developers finally gave us a weapon that doesn’t degrade, it didn’t come as much of a ‘reward’ if you’ve already completed the shrines and defeated Calamity Ganon. 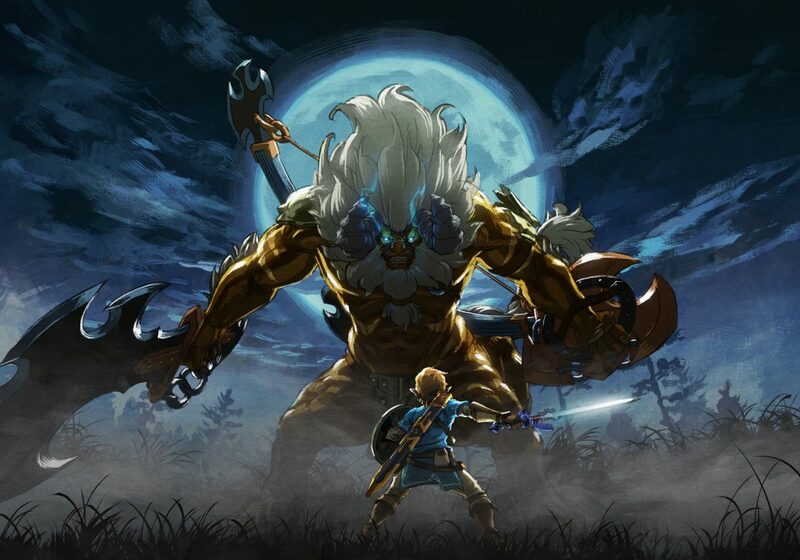 Master Mode gives players a chance to play through the entire game again with increased difficulty and more enemy locations. Basic Red Bokoblins are now blue and all enemies recharge their health over time during battle. You will have to strike swiftly and often to defeat enemies in this mode. There are also floating platforms with enemies and treasures dotted around the landscape to add more challenge. This mode was simply not fun in my experience. Hero’s Path Mode and the Travel Medallion are two new options aimed at helping players traverse the world more effectively. Hero’s Path Mode is a simple toggle on the game’s map screen that shows a line on top of the map indicating everywhere you have traversed in the game. If you are trying to find all of the Koroks and/or Shrines, this can be a great tool to find areas you haven’t yet visited. The Travel Medallion allows players to place an arbitrary warp point at their current location so you can easily warp back to it later–this can be helpful if you are exploring an area without any Shrines. I also found it useful to put on a high peak in an area so I had a good launching point. The Master Trials also contains new armor pieces for players to discover via journal clues in various spots in Hyrule. These quests were actually pretty fun and I wish there were more like them. It would have been great to have more in-depth quests too. Overall, The Master Trials feel very much like a ‘New Game +’ with some modest new content.